Ireland's weekly construction, property and proptech radio show and podcast. Gavin Gallagher stepped in for regular co-host Bryan Fox, with Carol Tallon, and we were joined in studio by head of the Housing Agency, John O'Connor; Director of Property Industry Ireland (PII), DR. David Duffy and Mihai Penica of pioneering Irish proptech Standard Access. Weekly property radio show and podcast co-hosted by Bryan Fox and Carol Tallon. Produced by Katie Tallon, with Peter Brown on sound. Email: hello@iPropertyRadio.com www.iPropertyRadio.com 5th March 2019 Guests this week include: Ray O'Neill of Sherry FitzGerald O'Neill discussing the property market in West Cork; David Jelly of Property Bridges who described the scale of opportunity for property development funding via peer-to-peer; John Kennedy of proptech 4Property explains how estate and letting agencies have had to adapt to changing times and increasing property consumer expectations; and Clinical Hypnotherapist Fiachra Morrison of Dublin Hypnosis & Therapy Centre joined us to talk about the importance of mental health awareness, wellbeing and coping with everyday stress for members of Ireland's planning, construction and property industries. Bonus content! This week we had the TY students from Newpark Comprehensive in to chat about their Property Economics course and why the so-called experts don’t hold all the answers to solving Ireland’s housing crisis. 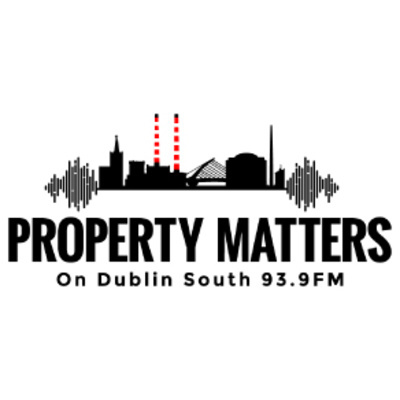 Huge thanks to William Hynes and Robert Colleran for joining myself, Carol Tallon and co-host Bryan Fox on #PropertyMatters this week for our planning special where we explored some of the challenges and opportunities inherant in our current planning regime.